October 2016 – MidwestAthleticConference.com – The Official Site of the Midwest Athletic Conference for mac news, mac scores and more. Coldwater is ranked 2nd in Division V and Marion Local is the top ranked team in Division VI in the final weekly 2016 AP State Football Poll. 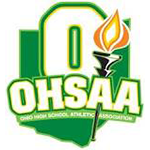 The final weekly OHSAA Football Computer Rankings were released and 5 MAC schools are headed to the playoffs after finishing with a top 8 finish in their region. 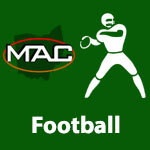 The sixth weekly OHSAA Football Computer Rankings were released and 5 MAC schools are ranked in the top 8 in their regions. Coldwater, Marion Local & Fort Recovery are ranked in the 7th Weekly AP State Football Poll. Coldwater is ranked 2nd in Division V. Marion Local is the top ranked team in Division VI and Fort Recovery is ranked 10th in Division VII in the seventh weekly AP State Football Poll. By admin|2016-10-25T23:46:56-04:00October 25th, 2016|Coldwater Cavaliers, Football, Fort Recovery Indians, MAC, Marion Local Flyers, Scores|Comments Off on Coldwater, Marion Local & Fort Recovery are ranked in the 7th Weekly AP State Football Poll.